In the next little while we will soon be heading out on a family vacation! 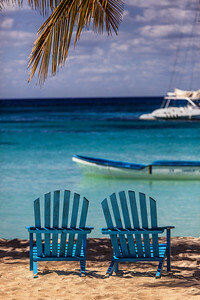 We will be cruising to the Southern Caribbean and visiting ports like Curacao and Aruba. Just thought I would share what I plan to take with me as a photographer on the trip and how it will be packed. This will be very close to my standard travel bag but there will be a few minor changes to my usual travel bag. As always I started planning gear to take well in advance of my trip and have made some little tweaks here and there. I use a program called Evernote to list my planned equipment then tweak it as I change my mind and make adjustments. As usual to get to my destination all of my gear will be packed in my Think Tank Airport Airstream bag. So just a few comments on my gear selection. Because we are going to be on a cruise ship, there are a few things that I forgo. I really don’t need a long lens so I selected my lighter 70-200 F4 L IS and the Tele converter just in case I want a little extra reach. One lens I usual travel with that I am not taking this trip is my Canon EF17-40 F4 L lens. While I plan on doing some landscape type shots, last year I rented the Canon 8 –15mm and had a ball with it. This lens was added to my gear this past fall and I have played around with it and can correct a lot of the regular fisheye distortion in Lightroom or Photoshop. My 24 – 105 will be me walk around lens and if I really want a wide angle I will shoot with the 8 – 15mm @ 15mm and fix it is post. Last year I only took the Gorilla Pod tripod with us. 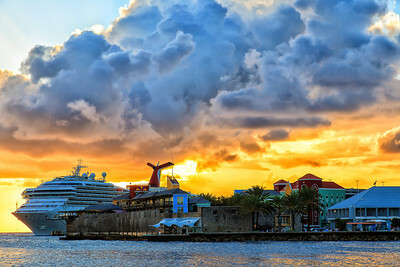 As this is virtually the same cruise we went on last year we will be stopping in Curacao again. Once again our stop is later in the day and we don’t leave until midnight local time. The waterfront’s historical buildings are lit up at night with coloured lights and last year I didn’t get back off the ship to shoot. My plan this year is to get off and with a proper tripod I should be able to get some nice shots of the waterfront all lit up. I am also planning on trying some sky shots with the ship and the Milky Way in the sky. I will likely use the 40mm pancake for this purpose. I bring this lens because it is so small I can mount it on my camera body to travel with instead of a body cap so it doesn’t take up space in the bag. I have been in touch with the Curacao Astronomy Club to see if they can suggest shooting locations near the Pier for me as well. Another tip that I use before travelling is to research the area I am going to by visiting sites like 500px.com or Flickr.com. I search for the destinations I am about to head to and look at some of the images taken there. It gives me some hints on where and what to shoot. You might notice that I have 3 different camera straps listed. There is a reason for this and it will be the topic of a future blog post. In short I use a strap system that I have devised. I use quick releases on my camera bodies as I don’t like having a strap blowing around when shooting on a tripod. In addition I don’t like advertising my camera brand so I don’t use the manufacturer’s supplied straps. I also use a little gaffers tape to cover up the brand and model of camera I have. Each strap has a different purpose. One for every day use on the ship (Up Strap), one for walking around the ports (Black Rapid) and one specifically for the Curacao stop when a tripod plate will be mounted on my camera for most of the day (OP/Tech). Other than the flip cameras I have decided not to take my dedicated video camera and plan to shoot all videos with my 5D. For this I have the rechargeable LED light, a focus shifter, an external microphone and a cold shoe bracket that hold both devices. In addition I will have my LCW Variable ND filter so that I can shoot video wide open on my lenses and still control exposure in bright sunlight to get depth of field. The Lensbabys may come out of the bag, but I do like the selective focus effects I can get from them and because they are relatively small at the very least the Sweet 35 will make the trip. Circular Polarizer’s are a necessity as being on a ship there is lots of water around and they are great for killing reflections and glare. With a group of 14 of us on this trip I am sure we will be taking a number of group photos. The flash will come in handy and the Canon remote will allow me to get it off the camera to shoot. I really like the Rogue Flash Benders as they allow me to soften the light and because the fold flat take no room in the bag. Gels are there to be able to balance the light and not make flash exposures look like flash exposures. Still not sure if I am going to take the smaller lighter 480EX II or the larger more powerful 580 EX II yet. Once the final bag is packed I can make that decision. The Canon G1 X will be my pocket camera on board and the G10 is our families dedicated underwater camera for beaches and snorkelling trips. Geotagging images will be accomplished using 2 things. The app GPS4Cam on my Android phone and a Garmin handheld GPS unit. As I am paranoid about backups I try not to format my cards if I can avoid it before coming home. At the end of the day I backup my cards to both my Hyperdrive with a 500 GB hard drive in it (this is a small device with a LCD screen to view images and has a card reader built into it) and my laptop and an external 1 TB hard drive. The laptop also has Adobe Lightroom on it and using USB 3 I can create a catalogue for editing and posting pictures and then import that catalogue with images changes back into my main Lightroom Catalogue at home when we return. I recently heard a story of someone who lost their camera on a cruise with non backed up images of them. And to tell a little embarrassing secret, I lost my wife’s point and shoot on our the last night of our first cruise with some of our images on it. The camera was never recovered! I’ll likely have 1 or two spare lens caps with me as well and the Op/Tech rain sleeves are great to have. While walking around the ports or the ship gear that I need for the shoot will be inside my Lowepro Flipside Sport that will be packed in my main luggage and then pulled out for day trips. It sounds like a lot of gear and it is. I am very envious of Nikon shooters for one reason. They have a great Nikkor 28-300 VR lens that works both on Full Frame and Crop Sensor bodies. To me this would be the ideal travel lens and being able to get one would allow me to drop a couple of lenses from my travel bag. Canon has one as well but it is very large, heavy, almost 4lbs and white like other L lenses so it is not inconspicuous. It is also really expensive as well! I really wish Canon would look at something like the Nikkor for their line! There are some third party vendors out there with the same range but reviews are hit and miss on them! So this is my load out for my upcoming vacation. With this gear I should be able to get some great shots both around the ship and in the various ports we will visit! As always things will get tweaked a little as the time draws closer and I actually start packing my bag, but I am pretty confident it will stay fairly close to this. This entry was posted in General, Tips, Travel and tagged Camera, cruise, gear, lens, lenses, photgraphy, ports, tips, Travel. Bookmark the permalink.